Hey Teens! 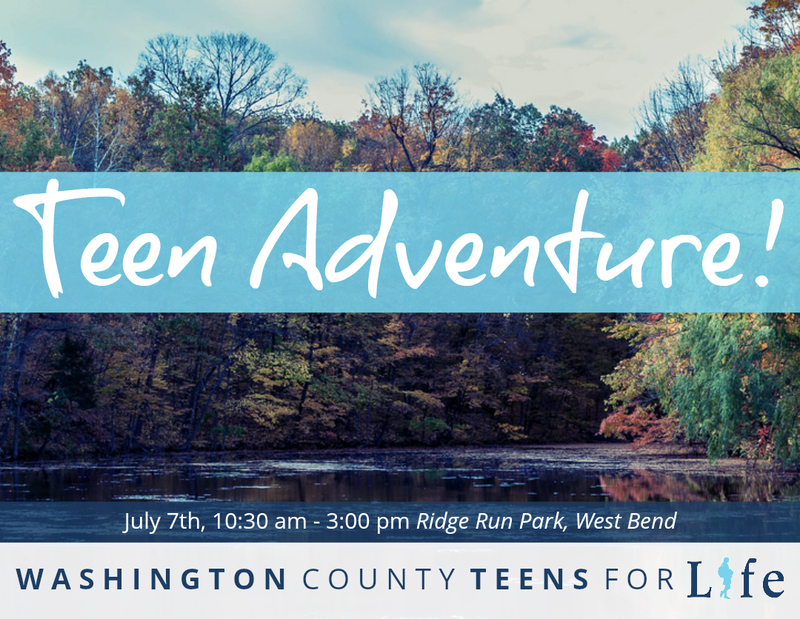 Come to Washington County Teens for Life’s Teen Adventure! 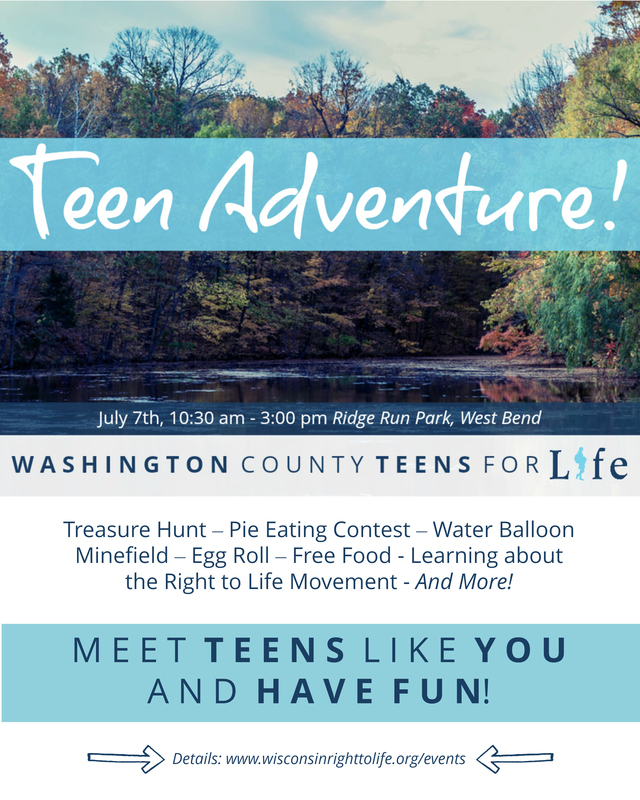 Enjoy A Treasure Hunt // A Pie Eating Contest // A Water Balloon Minefield // An Egg Roll // Free Food // Learning about the Right to Life Movement // And More Fun! Meet teens just like you and have a blast! Questions? Call or text WRTL’s Region 1 Coordinator Lizzie Cantrall at 262-873-7219 or email her at lcantrall@wrtl.org. Share the poster with your friends!